The side collision sensor LH circuit (to determine deployment of the front seat side airbag assembly LH and curtain shield airbag assembly LH) is composed of the center airbag sensor assembly, rear airbag sensor LH and side airbag sensor LH. 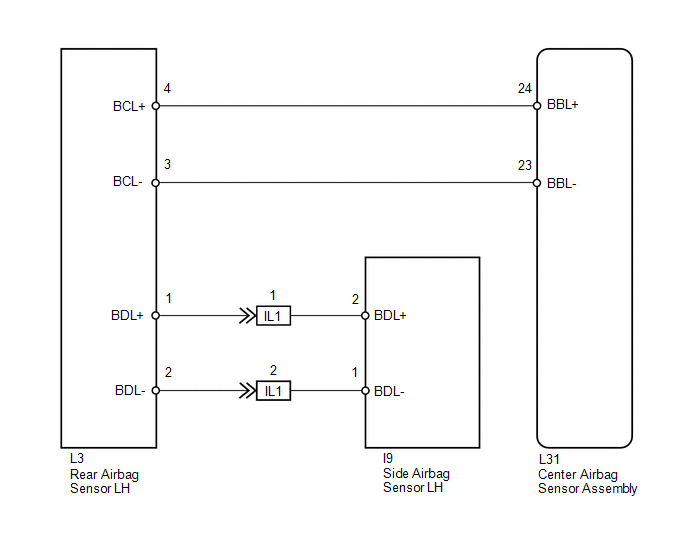 The rear airbag sensor LH detect impacts to the vehicle and send signals to the center airbag sensor assembly to determine if the airbag should be deployed. 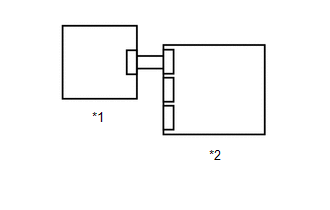 DTC B1635/24 is stored when a malfunction is detected in the rear airbag sensor LH. (c) Interchange the rear airbag sensor RH with LH and connect the connectors to them.